okay i don't blame you one bit. it is so cute and looks great on you!! i would do secret santa i heart that idea!!! love the boots ur wearing too. p.s. are u really allergic to vanilla? I'm all over the fur vest too, girl! Love it! 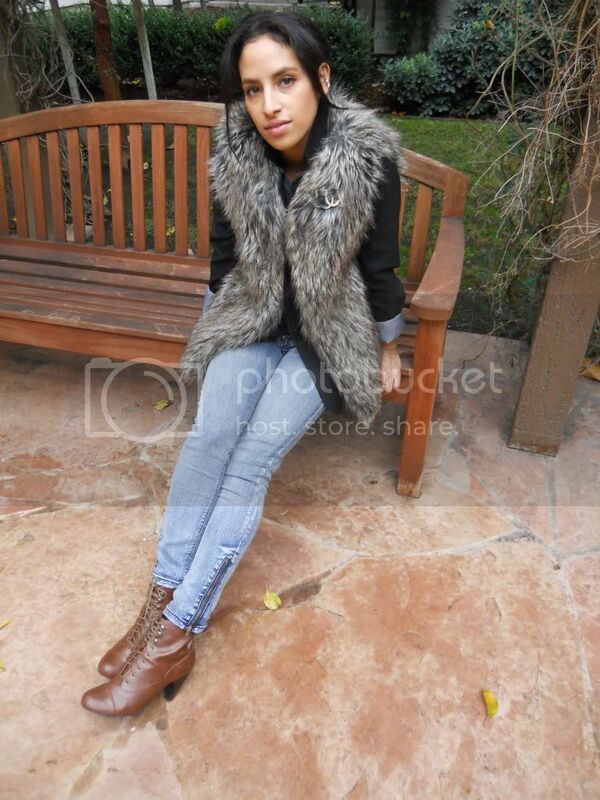 That faux fur vest is so perfect for winter. 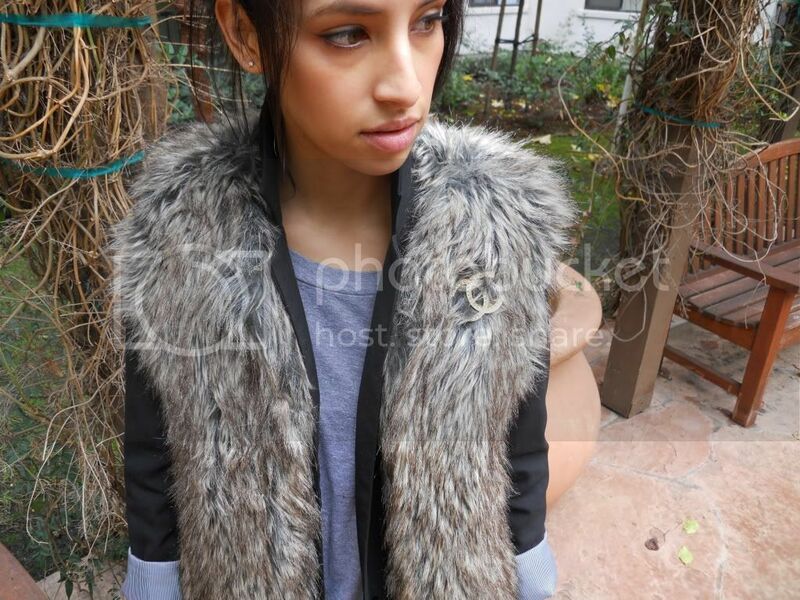 I need one to match my faux fur hat :) Love the pairing with skinnys and booties. aren't impulse purchases the best?!? i love this vest, it looks so warm too. and i'm kindda digging the whole wear a blazer under a vest situation. You should be all about that vest right now! You're lucky to find a gem like that in storage! great pairing of the blazer and the fur! So great meeting you earlier this week! 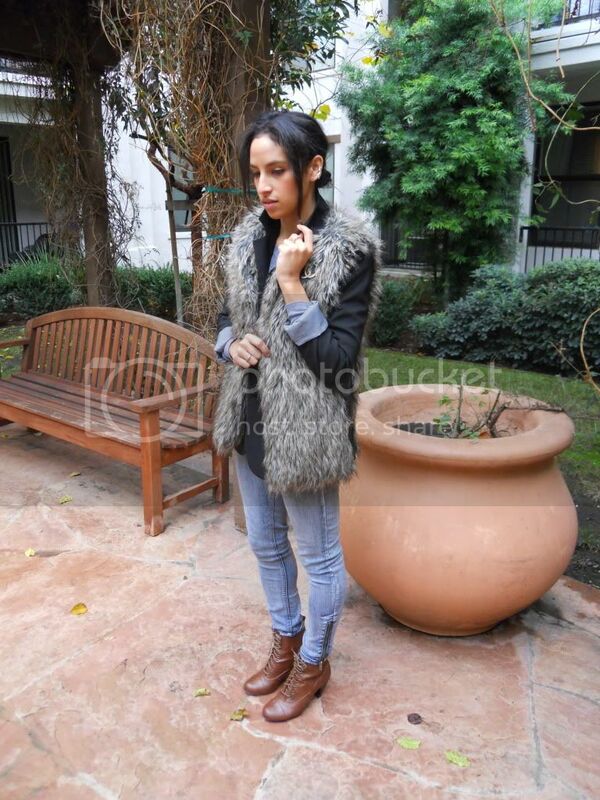 We have to do many more bay area blogger meet ups :) Love the vest! I've been eying one at Nordstrom and currently debating whether or not to purchase it. Blogger secret santa sounds like such a cute idea! I'd love to participate if you get one going. I love that vest and those DARLING little boots! Super cute. p.s if anyone is interested in a Secret Santa blogger gift exchange contact meeeee!!! J'adore those boots, plus the pairing of the blazer with the furry vest is so clever! Well done! I love the fur cardigan and your boots! Lovely! I loveee your boots, and I know I always rave about how gorgeous you are, but I'm going to repeat myself again and say it one more time: you're stunning. And you can definitely rock that fur vest. I loveeee your sister's comment, too, haha. Sherrie usually tends to wear everything in her closet at once (tights, socks, shirts, cardigans, sweaters, jackets, scarves, completely colorful and bundled up), especially when it's cold. Next time she does that, I'm going to borrow your sister's line - "you got a lot going on there" lol. I love your eyeliner! Wish I could master your technique! Very pics!